The worldwide smartphone industry is booming. By far the mass majority of internet traffic has shifted to be on mobile devices, we see it with our own analytics with over 80% of our traffic to MacalegineElectronics.com being on mobile devices. Dealing with wholesale involves using larger quantities of product with the goal of saving and reducing cost all around. The wholesaler can provide items for less cost than alternative methods and sourcing items wholesale has the same benefit. 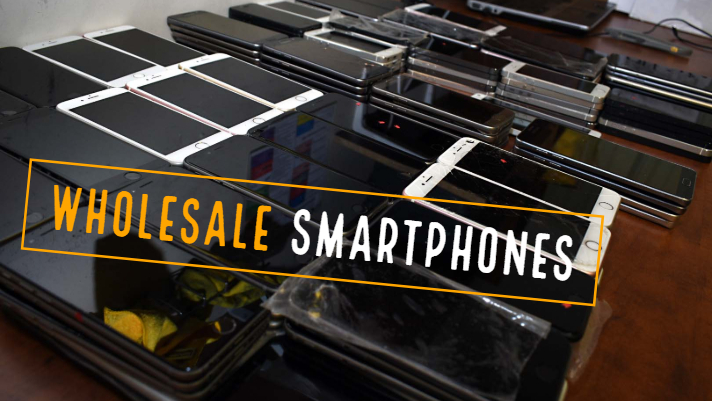 Wholesale used phones are still all of the major brands you would expect like Apple, Samsung, LG, HTC, ZTE, etc. The devices are typically fully functioning and often near new condition with remarkable price difference compared to regular retail. The savings are a strong incentive for individuals and companies to source phones though these means because the cost of phones is only skyrocketing more and more. Modern phones are also more tough making them less prone to scratching or cracking and resilient against water damage. Phones are sourced from consumers and businesses, either they need to upgrade a device or maybe the device has an issue like cracked glass. They sell/trade the device in and then it enters the process where it is typically verified for defects and often repaired if needed until it can be resold at a higher value than the original purchase from the source. Our company is in the middle of the process, we often take on a wide variety of inventory conditions and perform some repairs while other times we diagnose and test the devices, annotate issues and resell them priced based on the condition they are in. Part of how we diagnose was shown in our previous blog post where we discussed hidden codes/functions for phones. Not every phone uses these but the basic idea is if we were getting a phone for our own personal use, what would we want to make sure worked and what would we look at for the condition. Is the screen damaged? does the touch work? can we take pictures and videos? etc.